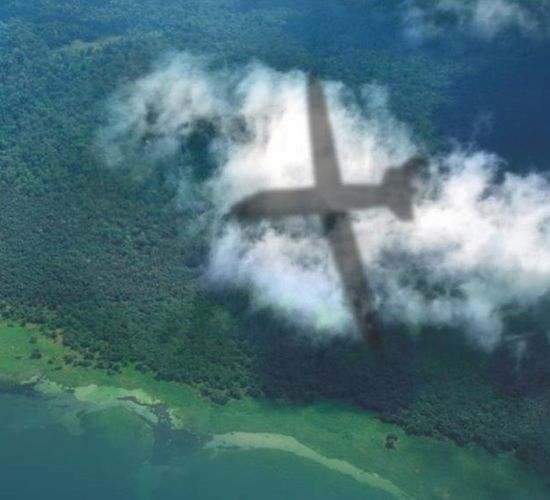 This suitably vague image of a Future European MALE RPAS was issued by procurement agency OCCAR. A long-awaited definition study that may lead to a pan-European MALE RPAS (Medium Altitude Long Endurance Remotely Piloted Aircraft System) finally started last month. But the entry into service of a system that could rival current offerings from Israel and the U.S. is still more than eight years away. Meanwhile, European countries are continuing to acquire the rival systems. The study is being jointly conducted by Airbus Defence and Space, Dassault Aviation and Leonardo, with an equal work split, for the governments of France, Germany, Italy and Spain. No value for the contract was made public. The European defense procurement agency OCCAR, which is managing the project, said that other states could potentially participate in future phases of the program. The UK has declined to participate and is planning to introduce the General Atomics Aeronautical Systems Inc. (GA-ASI) Certifiable Predator-B UAS to meet a requirement named Protector. OCCAR described the study as a “design-to-cost activity ([that] will further develop and strengthen European industrial expertise in this essential technological area.” The study will take 25 months. A System Requirement Review (SRR) in the first year will be followed by a Preliminary Design Review (PDR) in the second year. “This will give the participating states full confidence that the Development step can be launched with acceptable residual risks,” said OCCAR in a statement. The objectives include full certification and air traffic control (ATC) integration. If the nations approve full development, a first flight could occur in early 2023. The air forces of France and Italy already operate GA-ASI Predators or Reapers, and the Spanish air force is now following. The German air force has been operating IAI Heron 1s leased via Airbus Defence and Space, and decided early this year to replace them with three to five larger Heron TPs. That contract is reportedly worth nearly $650 million, and has been legally challenged by GA-ASI, which offered the Certifiable Predator-B to Germany.